According to me, Prashna chart limitations are not upto one year; it depends upon the slow-moving planets. It is not that the Birth chart cannot be used; the general trend of life can definitely be seen there, but day-to-day and Date-wise predictions, especially regarding the 10th house matters, can only be made by Prashna chart only. In fact, I combine the Prashna chart, Birth chart and the Vedic Progression chart, to give a comprehensive prediction, Any planet, which is taking a major dimension in the three Charts can give vital clues..
Mr. Anil S. Aggarwala Ganita, Samhita, Hora, Shakun, Muhurat and Prashna-all these are integral parts of Astrology. Prashna deals with casting of horoscopes for the time of query, event or thought. In cases where accuracy of birth-time cannot be guaranteed, Prashna Kundali gives amazingly accurate results. Also it is claimed that results of our past karmas get modified by our present deeds, which can be depicted, only through Prashna Chart. Mr Anil S. Aggarwala is an expert in Prashna Shastra and he boldly declares that matters pertaining to lost articles, rain, travel, disease etc. can be effectively decoded, only though Prashna. Mr. Anil S. Aggarwala (email: astrodoc.vedicastrology@gmail.com); mobile:918527884764; +91 9810038903) is an Engineering Graduate and has served in top ranks in many Corporate companies. After retirement, he has studied astrology from Bharitya Vidhya Bhawan, New Delhi and has done research under the guidance of Sri K.N. Rao. 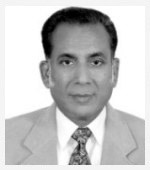 Mr. Anil S. Aggarwala (website:https://www.astrodocanil.com) is the recipient of Saroj Memorial Award for Excellent Research (Astrology) in 2012. Here, he explains the nuances of Prashna and also its advantages. Kindly tell us about your interest in Astrology and your first exposure to feel its greatness. How did you learn the subject? My father used to visit an astrologer in New Delhi. One day, in June 1986, he took me along; after looking at the Prashna chart and my horoscope, he said, I will be visiting 5 countries shortly in Dec 1986. But I told him that astrology was all fake and I did not believe in it. I also told him that, I would not get my Passport made and so where was the Question of my going to these 5 countries. Events so happened that I helped a Police Inspector's son with a job, in a couple of days. The Police Inspector visited me to thank me for the same and wanted to oblige me. He told me that he was looking after the Passport office of Faridabad, Haryana and asked me whether I had a Passport. To this, I replied that I had challenged an Astrologer and did not want a Passport to be made. But he insisted. Although I was not a resident of Faridabad, he got all the formalities done in a few hours and told me that the Passport would reach my house in the next 7 days. This was the biggest surprise for me and I got my Passport in the next few Days in August 1986. After reaching home, I immediately went running to the Astrologer, who lived very close to my Apartment and touched his feet and begged pardon; by that time I could make out that his predictions would come true for the Dec. 1986, visiting the 5 Countries in the East. In the next couple of days, as Luck would have it, I changed my job in Sept. 1986 and got the opportunity to visit five countries officially. I was very much influenced by that episode and started to visit him and learn Astrology from him slowly. Prior to this also, I had some exposure of Astrology in the Year July 1983. My father knew the famous Astrologer Pundit Hardev Sharma of Solan, who used to write the Vish Vijay Panchang. He had predicted that I would involve myself in astrology in my later years (after 60 years). On 26th July 1983, Pundit Hardev Sharma was in Delhi and my father had gone to meet him. He told my father to return home early, since there would be a bad news at home, through Prashna Jyotish. I had got summons from Bombay court in a Fake criminal case. This was the mischief of our neighbor, who was running a Guest-house in our neighbourhood. My father, being in Govt. service at a Secretary Level, had got him arrested a few years ago, because of a tiff with him. In order to take revenge, he framed a fake case against me in Bombay, where I had never been. I had to be in Bombay on the 22nd Aug 1983. He had chosen a Muhurat for me to reach Bombay by flight probably, on Saturday the 20th Aug 1983 and had predicted that the Case will be quashed. I had taken all documentary evidence in my favour. The case was quashed and I came out with success, as predicted by him. I give all credit to Astrology and Pundit Hardev Sharma. I was running the dasha of the Lagna Lord and 4th Lord Mercury and antara was that of Yogakaraka. The above 2 instances episodes have increased the inclination towards Astrology. In the Year 2007, when I was relatively free in my career, I joined Bhartiya Vidhya Bhawan, New Delhi and repeated the Jyotish Alankar and Jyotish Acharaya Courses, spent 2 years in Research and got Awards. After that, in the year 2011, I spent 2 years with my Guru S.Ganesh, who taught me the most amazing techniques in Tamil Shastra for Prashna and Natal Charts. I have written several articles in your esteemed magazine and you can find that my techniques are different from the Traditional Astrology. 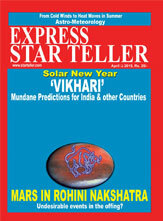 I follow a different procedure for analysis of a horoscope such as Prashna Jyotish by 15 methods--Prashna Triangle (my Research); Panch Pakshi; Naisargik and Tatlika Chakra for Direction from where the question is asked; Arudha Lagna by Direction-faced by Querist; Spristanga Rashi; by Kaal Chakra (Under Research); Nakshatra Number; First word uttered by the querist, when approaching the astrologer for query; by colour of cloths worn by the Querist; by Omens and Shakun Astrology; by Activity of the Querist at the time of Prashna ; by Ashtmangla Number between 100-999; by Number Between 1-108; and Prashna Kundali, using Tamil, Texts and not Parashora. Then, I proceed to the Birth chart, since Prashna shows the present Karma and the Birth chart the Previous Karmas. My method is working very well, but a lot of efforts are required to go through all the above. I therefore call the Querist after 3-4 days, to give the final predictions. I write on Mundane activities also and my predictions have been on dot. 1.) We know the exact time of the Query, and also know the seriousness of the Query (sincere or Insincere). 2.) Prashna Kundali also shows the present karma of the querist. 3.) In the absence of the birth chart, it is a most handy tool. 4.) Day-to-Day predictions cannot be made by birth chart, since in 80-85 % charts, the birth time is not correct and so the Vargas charts are not correct, to give correct predictions. 6.) If you have the Birth chart with accurate birth time, then combining the 2, an astrologer can give amazing predictions , provided he follows a strict pattern to analyse the chart. 7.) In the Birth chart, we have one house for a particular Query, say Marriage through the 7th house, in the case of Prashna, we can use all the 12 houses for a Marriage Query. Hence Prashna chart will show in depth the Queries and accurate Predictions. 9.) Dasha and Disha are very important parameters in Astrology,--Dasha for Birth chart and Disha for Prashna, In the Prashna chart, Arudha Lagna should be taken by the Direction faced by the Querist, taken from the Yama chart and is very significant, whereas this Arudha Lagna and Direction are not considered in Birth chart. The Arudha Lagna gives vital information about the querist, In a particular case, I remember that Jupiter was placed in the Kendra from the Arudha Lagna and Arudha Lagna had exalted Venus. I could tell the Querist that he lives in the house of a beautiful woman and he has 3 big gardens in his house; one of them, the grass was replaced with artificial grass, since Saturn was Retrograde and aspecting the Jupiter by 10th aspect. The native was amazed how I could tell him about his wife and the house in which he lives. All these cannot be done by Birth chart. Once, the native who has come for predictions asked for a glass of water and I could predict 100 % using the Watery signs in the Prashna chart. Since Lord Kuber controls the Watery signs, I could tell the native that the Query was related to wealth. Since he consumed 85% water in the glass, I predicted that 85% of the liquid-wealth has been consumed by him. In the Prashna chart, Moon was debilitated, Mars, ruler of Scorpio, was Fallen. Jupiter, ruler of pisces Sign was in Leo, totally eclipsed by Rahu, degreewise, How could one give these accurate predictions from the Birth chart? In Prashna, the Querist or his representative approaches the Astrologer in person; hence there is direct involvement; whereas in the natal horoscope, he may not be present at the time of prognostication. According to me, Prashna chart limitations are not upto one year; it depends upon the slow-moving planets. It is not that the Birth chart cannot be used; the general trend of life can definitely be seen, but day-to-day and Date-wise predictions can only be made by Prashna chart only. In fact, I combine the Prashna chart, Birth chart and the Vedic Progression chart, to give a comprehensive prediction, Any planet which is taking a major dimension in the three Charts can give vital clues. Can more than one question be handled effectively in Prashna? Is Mind-reading involved in Prashna? Prashna Shastra says that we can analyse the first Question by the Lagna, 2nd from Moon and the third by Jupiter. But normally, I have seen that the Question, which is bothering the Native the most works very well. A native, who has too many questions may not be a serious Questioner and the Native may be in the process to check the Astrologer. Such Queries fail. Prashna Shastra totally works on a sincere query. Moon is swifter than the Wind, Light and Sound; hence the seriousness of the Query is very important, which the Moon will reveal. In one case, the native wanted to know about her job prospects and I could foresee her father's death. I told her to wait till that malefic period was over. The Chart also showed that she would have to take a long travel and Sun was afflicted badly in the D12 Chart, along with Prashna chart. I could predict the date and time of her father's demise. Whatever the Prasha Chart is highlighting must be kept in mind and Queries may be raised with the native to confirm them. Normally I predict one query with Prashna chart, pertaining to one aspect of life; but if something more I could see, then I definitely ask the Querist about it indirectly and find them correct. Mind Reading is very essential during Prashna and Moon reveals the same, along with other parameters such as actions, color of clothes, body-parts touched by the native, with which Foot the Native has entered the Astrologer's premises etc., are important features to predict about the native's Mind. With which Nostril, the Astrologer is Breathing on a particular day is also taken into account. What are the parameters to be kept in mind, while conducting a Prashna? Gandantha points are to be avoided of Signs, Lunar days, Asterisms, junction points of Cancer-Leo, Scorpio-Sagittarius, Pieces-Aries. Junction points of Lunar 5th and 6th Day, 10th and 11th, 15th and 1st. The time, when Gulika is rising is a sensitive point in the Zodiac. Avoid it. Avoid Ashtami, 8th Lunar day, in the dark half in the month of Shravana (July-August). Avoid Vishti Karana, since the fructification of the Query will not take place. Sthira Karana is the most malefic. A malefic posited in the Ascendant, a malefic aspecting the Ascendant are not good. Avoid Solar Ingress into a sign (within 6-7 hrs). Avoid placement of Moon in the 8th house of the Prashna chart, except in case of missing persons. The native should go to the astrologer on auspicious days and not malefic days, which may be good for the results. Avoid query related to Marriage during Amavasya. For wealth 1,8,9 Tithis are bad. Explain us a few rituals, remedies etc., involved, while conducting Prashna. Clean environment is a must. Astrologer must have taken bath, before conducting a Prashna He should be in good health and wear clean dress, preferably in White, with sacred ashes on the forehead, and good omens around him. Also keep Utensils for Puja, mirror, Gold, fruits, oil lamp, palm leaf book, Flowers, Naivaedya(food offering) to be offered to Dieties, Turmeric Powder, Rice Flour, Sandal Paste, Kumkum, oil, Match Box and Bowl filled with Rice. After the above rituals, the chart is drawn on the floor with the help of the Rice flour. I follow a procedure similar, but make the chart on the Computer. I take the Arudha Lagna, where the Querist places his Gold Ring in any one of the 12 houses of the South Indian chart. Omens at the time of prediction are also used, along with the astrologer's Breath. Write the Query within inverted Commas, checking the first alphabet (letter) of the first world for auspiciousness. Remedies are to be suggested for propitiation of lord from the 9th from Sun and 7th from Moon. Suppose the Lord is Mars, then propitiation is for Lord Kartikeya on a Shasti Tithi. For Sun, offer water and recite the mantra for Sun. If Arudha Lagna is falling in the 8th house, the respective direction is to be avoided. The native may be asked to activate the communication with nature and follow the good omens at the start of any activity, Avoid any new venture with bad omens. Could you explain your techniques with a case-study? I solved a case of a kidnap. A minor girl Jhanvi was kidnapped from the lawns of India Gate on 28th Sept. 2014. Prashna Jyotish helps us evaluate the result of the event from the time of the happening . In such cases Mook Prashna is very helpful. According to the girl's parents, they had gone to India Gate for picnic on September 28, evening. They reached India Gate at around 7:15 pm and remained there for almost two hours. In between, a drunken man came near them and asked for money. When they refused, the man threatened and walked away. Janvi's parents said that she was playing in the lawn with other children, when they had last seen her at 9:15 pm. But her sudden disappearance had left them traumatised. When CCTV footage was accessed, Janvi appeared in the recording till at 21:21 hrs. Police said that the case could be of kidnapping and the drunken man might be involved. The girl was wearing a Yellow-White frock suit, at the time of incident. Astrology is amazing. I was discussing with my students in the Astrology class on 5th Oct 2014 at 14-00 hrs that the missing child from India Gate could be traced between the night of 5th Oct. 2014 and 6th Oct. 2014, probably after 8 days from the day of Missing . The child will be traced in the Northwest direction, about 10.8 Km-13 km from India Gate and would be wearing White and light colour clothes. I had put this analysis in my Facebook Page. Day-Sunday; Tithi-Shukla Paksha Panchami. Rikta Tithi; Yoga-Vishkumba, Lord is Saturn;Karana-Vishti; Indication-Kidnapping. In the query pertaining to missing persons, Lagna represents the Missing Person, 4th house the happiness or the well-being of the missing person,whereas the 7th house indicates the Path, which the missing person tends to take and also represents the difficulties on the way. Between Lagna lord and 11th lord 11th lord is stronger; counting from Jupiter to Moon is 5 houses hence the chinta is pertaining to the 5th house. Female child is indicated, since the 5th house is a female rasi and the Lord is with Saturn, the planet of captivity. Nakshatra lord of Moon is Jupiter, placed in the 3rd, house and owns the 8th and the 11th house and aspects the 7th house and Moon. Hence the chinta is loss of Child. Arudha Lagna Capricorn is aspected by Jupiter, a Jeeva planet. Hence the chinta is for a human being. Future is seen from the Chaitra Rashi and it is Virgo,since Veedi rashi is Taurus. Sun being in Virgo., which has debilitated Venus in Neecha Bhang Rajyoga, combusted and Rahu in forward motion, is not good for the child, since it is also the 5th house. 5th and 6th lords have mutual exchange of houses making 5th lord also strong. After suffering, the child will be traced. Chaitra Rashi is Virgo and it has Venus; hence the chinta can be solved by a female. Since Venus take one Paksha(as per the Prashna method of timing of fructification of an event), it can take maximum 15 days for the child to be traced. 5th house indicates kidnapping and 5th lord is with Saturn, the significator of Captivity in the 6th house. Lagnesh and Moon are having close ithasla in the 5th house. Moon debilitated in the 7th house shows kidnapping. Lagna is Fixed, Prishtodayo sign and aspected by Prishtodayo planet Mars-hence no journey forward or backward. The child is in the same city. Also Lagna is Fixed and malefics in the 5th, 6th and 7th house denotes no backward journey. Specially note that Mars is in the 7th house, but Jupiter's aspect on it is the most benefic aid for the safe-return of the missing child. Moon is in the 7th house in debilitation and with Mars. The child may be traced, after a lot of difficulties within 8-9 days, as Jupiter is aspecting Mars; the kidnapper may change his mind to free the kidnapped child. This parameter is very crucial in the chart, as Jupiter is exalted and about to enter the 4th house. Current period was Jupiter-Rahu-Saturn. For Taurus Lagna, Jupiter is great malefic and also the 11th lord. Rahu is in adverse motion. Saturn signifying kidnapping is in Paap Kartari yoga. Saturn is also aspecting the 8th house and 8th lord Jupiter and has future inimical ithasala with Jupiter. Saturn is also in the nakshatra, of Jupiter the 8th lord. The well- being of the child is to be seen from the 4th house. 4th lord Sun is forming a Rajyoga in the 5th house, which is in Rahu-Ketu axis and going to be eclipsed on 8th Oct. 2014. Navamsa rising is of a malefic Mars with exalted Sun. Lagna lord Mars is placed in the 8th house and is Vargottam and strong. In Navamsa, Moon and 8th house are connected to Mars and Saturn, along with Mercury. 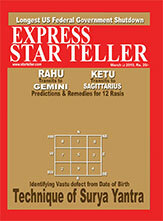 8th lord Jupiter has become debilitated and Venus (the lagna lord of Rasi Chart) has fallen in Rahu-Ketu axis. The worst is that Rahu was in forward motion on 28th Sept. 2014 at the time of kidnapping. The whereabouts of the child will be difficult to be found out, if not traced within 8-9 days. Lagna lord of Rasi Chart, Venus, is badly afflicted by Mars, Saturn and is in Rahu-Ketu axis in Navamsa; hence there is no possibility of the child being traced after 8th-9th day of Kidnapping. 7th lord Mars as thief: The appearance of the thief is signified by the planet aspecting it, since Jupiter is aspecting it, the Child on its own has moved away and lost her parents. And then, later, she was kidnapped. She has gone in the Northwest direction, in the same city nearby. If the child is not traced within 9 days, then it will be a matter of great concern. The strongest planet about to enter the 4th house is Jupiter at 21 degrees, in a movable sign and also aspecting Moon and the 7th house; hence the child can be traced within 8-9 days. With the help of Police only, it can be accomplished. Clothes worn by the child, Since the Lagna is Taurus, the girl kidnapped would be wearing White dress. 7th house and its lord are aspected by Jupiter (strong); hence the kidnapping is done in public and at night, since nocturnal sign is rising in the Lagna. Lagna nakshatra is of Moon; Moon signifies Northwest direction, where the kidnapper has gone. Place of Captivation: Since the 7th lord is placed in the 7th house and aspecting the Lagna from Scorpio, the place of captivation could be somewhere near cremation grounds, caves, hollow ground, near a pond or a lake. Since Jupiter is aspecting Moon, it may be at a place higher than the ground. Distance of the kidnapped child: Arudha Lagna is Sagitarius , hence not far from the place of kidnapping; now lagna is in the 4th Navamsa and about to complete 4 Navamsas. Hence the kidnapped child is located as follows: 5 Navamsa = 13 kilometers (Prashna Marg). Here 4th Navamsa is about to be completed; hence the kidnapped child will be located at about a distance of 13/5x4=10.4- 13 Kms in the Northwest direction. The Child was traced on the night of 5th Oct. 2014 in the Northwest direction from India Gate, approximately at a just distance of 13 Km, moving about in a market at 09-00 pm. According to the Police, a passer-by spotted Jahnvi, near a Gurudwara in Janakpuri in West Delhi and informed the Police.